Undoubtedly at one time or another you will have made contact with a company or banking institution who during the course of their telephone conversation with you have mentioned the Data Protection Act 1988. Here we look at the Data Protection Act and examine its uses for both companies and individuals alike. In 2000 the Freedom of Information Act was modified to encompass elements of the Data Protection Act 1988 regarding the storage of personal information for use in the public sector such as hospitals, schools, doctor’s surgeries etc. 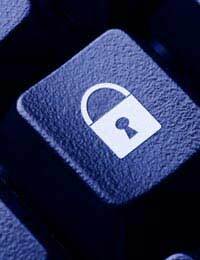 As an Individual How Does the Data Protection Act Benefit Me? Who has access to your personal details? How Does The Date Protection Act Affect Institutions Holding My Information? As mentioned previously a failure to adhere to these rules can lead to a prosecution which can also put the company at risk of losing their ability to store information on private individuals. This in itself can be very damaging to a company’s ability to trade. How Do I Find out What Information a Company Holds About Me? If you suspect that a particular company is using your personal information for purposes other than those under which they hold it you should first contact them and ask as to how they are using it. After this if you are not wholly satisfied by the answers given you can ask them in writing to supply you with copies of all the information they hold on you and also to tell you who they have passed this information onto. If a company fails to give you a satisfactory answer to your questions and indeed fails to supply you with a copy of the relevant information you should contact the Information Commissioner. My husband was dismissed by his employers, he was,asked to immediately hand back his mobile phone which he did. On the mobile was his company email account and also our own private email account, we assumed this would be deleted by the company as my husband was given no time to delete it himself. The Managing Director of the company contacted us 7 weeks later to say they had been reading our private emails and had not deleted the account from the mobile. In particular they had been reading emails between my husband and one of his old work colleagues still employed by the company, there is nothing untowards in these emails apart from the old work colleague giving my husband some emails address of personnel in the parent company, this can be found on information set out in the company reception area for all to read so it's not exactly confidential. The only reason they contacted us was to warn my husband off contacting the parent company. They are now using threatening behaviour against the work colleague and have told him that if my husband takes it any further they will start disciplinary action against him. My husband does not want to cause poo problems for his ex work friend but also feels that this kind of behaviour is totally unacceptable from the Managing Director. Your advise would be most welcome.